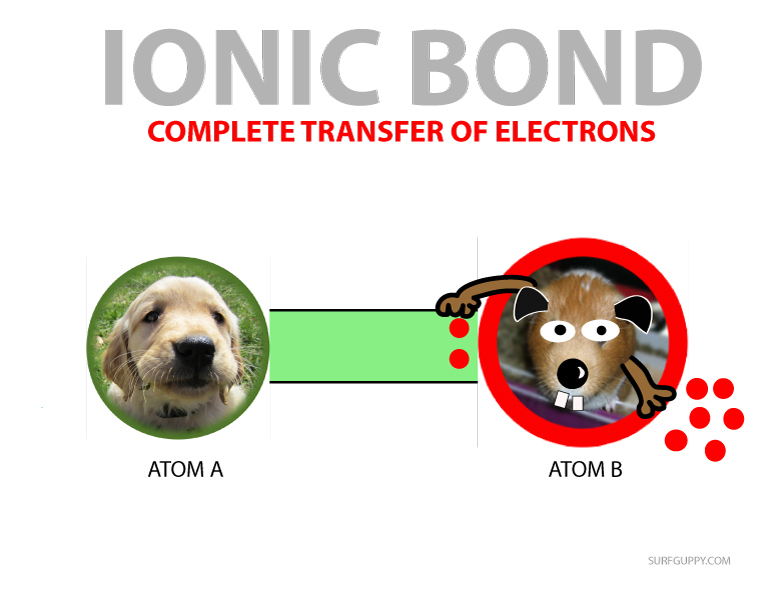 Ionic bonding is the kind of attraction that causes the complete transfer of electron(s) between atoms. Ionic bond occurs between two very different types of elements such as a metal and non-metal. Their electronegativity values are far apart, one is really strong and the other is weak. So they bond by transferring electrons. When the two atoms combine, they actually transfer electrons rather than share them. As a result, they change personality. The atom that looses the electron(s) becomes a positively charged ion called cation and the one that gains the electron(s) is called the anion. 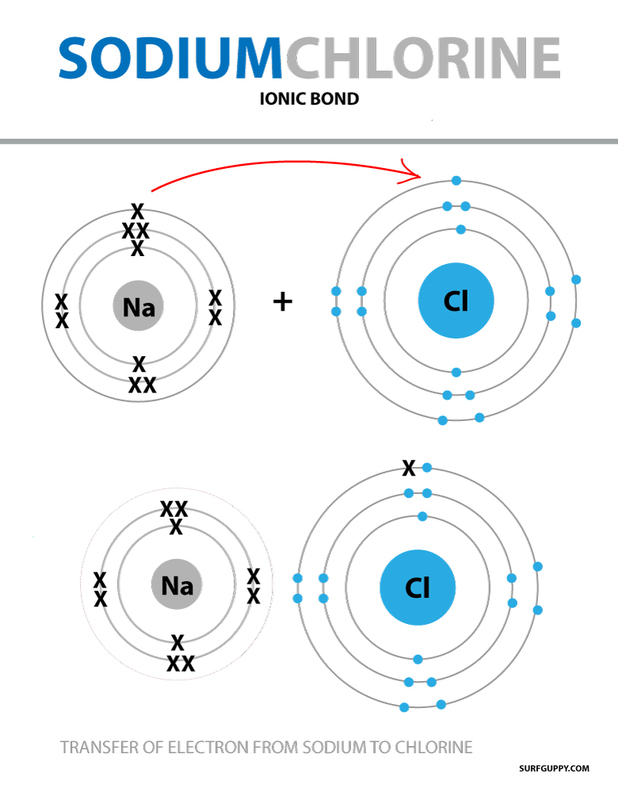 Ionic bond: one atom gives up electrons to form a positively charged ion (cation). The other atom gains electrons to form negatively charged ion (anion). 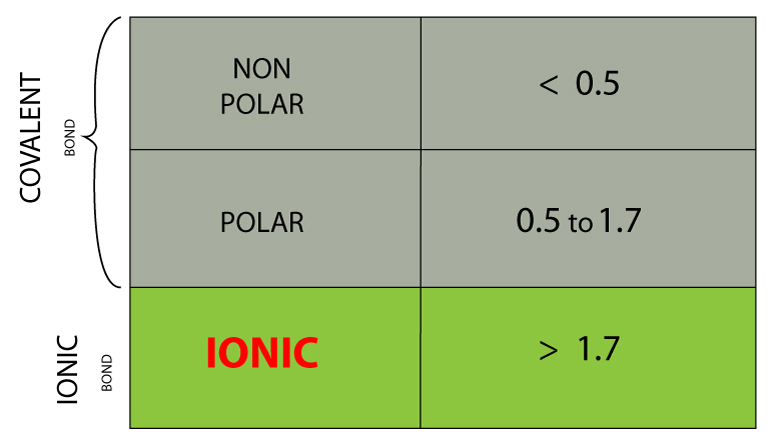 FOR IONIC BOND THE ELECTRONEGATIVITY DIFFERENCE BETWEEN THE TWO ATOMS IS GREATER THAN 1.7. What is electronegativity? Electronegativity is the ability to attract electrons. The electronegativity in chlorine is so strong compared to sodium that it SNATCHES an electron rather than share it. An electron TRANSFERS over from the sodium to the chlorine.